The Military Medals and dress uniform retailer has added to their already huge stock of dress uniform items by adding these Kansas National Guard unit crests. ...I am always prepared to accommodate my customers who aren’t close-by. Local dress uniform superstore, USA Military Medals, is now stocking Kansas National Guard Distinctive Unit Insignia, today, here, as part of its commitment to the unique uniform needs of Kansas Soldiers. From military slang, a Distinctive unit insignia (DUI) or “unit crest” is a metal heraldic device worn by soldiers in the United States Army. 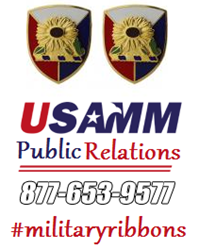 UMM’s unit crests – including the U.S. Army Kansas National Guard Unit Crest, U.S. Army 108th Aviation Unit Crest (We Defend From Above), U.S. Army 127th Field Artillery Unit Crest (Via Vi), U.S. Army 130th Field Artillery Unit Crest (Semper Parvo Meliores), U.S. Army 161st Field Artillery Unit Crest (Faire Sans Dire) and the U.S. Army 235th Regiment Unit Crest (Meet Our Thunder) – are sold in pairs (i.e., if you order a quantity of 1 you will receive two Unit Crests) with steel pin-backing starting at $14.95. “Soldiers over in Kansas have the same needs as those here in Oregon,” USAMM, LLC President of business operations, Jared Zabaldo. 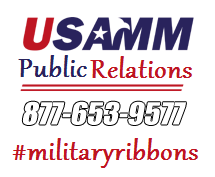 USAMM owns and operates USA Military Medals along with various other military uniform e-commerce stores. “And I am always prepared to accommodate my customers who aren’t close-by,” said Zabaldo. 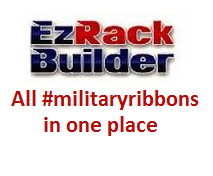 In addition to a large array of Unit Crests, service members may find and purchase their military medals and awards through the hi-tech program “EZ Rack Builder” – a free uniform tool for any branch of service. Ideal for Soldiers with limited options, these Kansas National Guard Unit Insignia are available for purchase now on UMM, conveniently shipping within hours of ordering. “So I’m really here to make these Soldiers’ lives as easy as possible, because they have enough to worry about,” said Zabaldo. USA Military Medals (http://www.usamilitarymedals.com/) is an internet-based company formed in 2005, carrying more than 12,000 dress uniform products in stock and specializing in custom military medal and military ribbon rack production with their state-of-the-art rack builder. 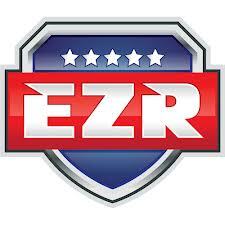 USA Military Medals also operates a brick and mortar store servicing local military personnel and veterans.